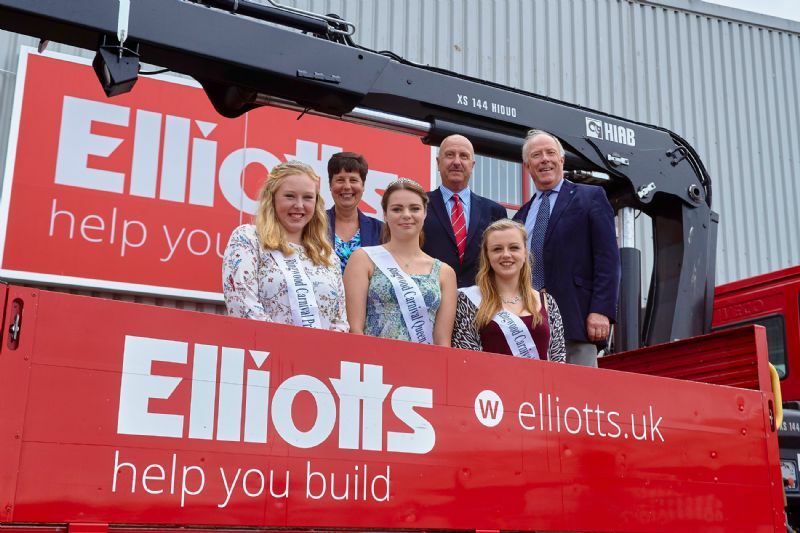 John Tague, manager of the Elliotts Ringwood branch, welcomed the Carnival Queen, Amy-Louise Hasted, and her attendants Molly Peters and Allana Bingham. Elliotts is one of the oldest family businesses in the South and has been a part of the community in Ringwood since 1981. The store moved to its current location on Pullman Way in 1990. The Ringwood Carnival was first held in 1929 and relies on sponsorship from local businesses like Elliotts to ensure the much-loved event continues each year. As well as providing a day full of entertainment, the carnival also raises much needed finds for local charities and good causes, such as nearby Scout groups and the Bournemouth Children and Families Trust. The procession will take to the streets this year on September 19. John Tague, manager of Elliotts Ringwood, said: "We are really looking forward to the carnival. It's one of the areas best-loved events and it brings the whole community together. We are delighted to offer our support and be a part of its success."